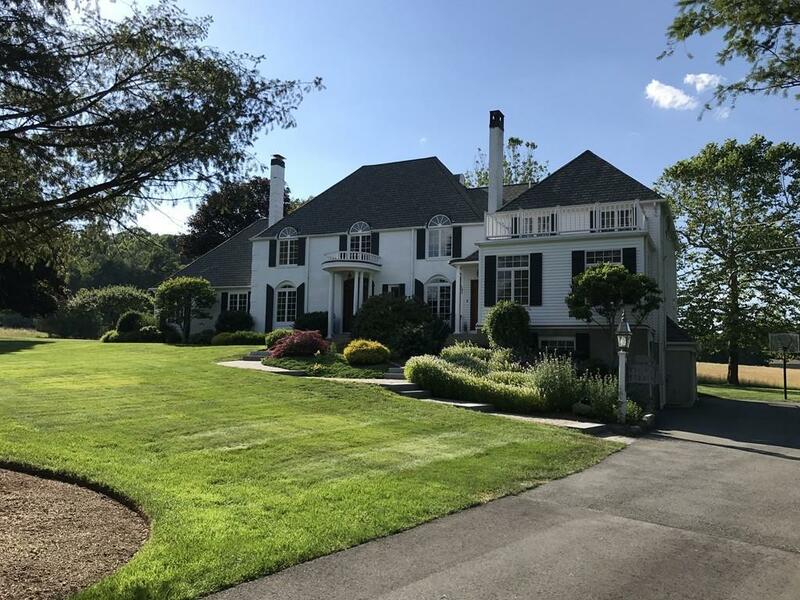 Peganfield, a distinctive French chateau with towering chimneys near Dover Centre and convenient to Wellesley, is set on almost 3 acres of manicured lawns, playing fields and gardens, surrounded by conservation meadowlands and an organic farm across the street. It is particularly well-suited for families with children. 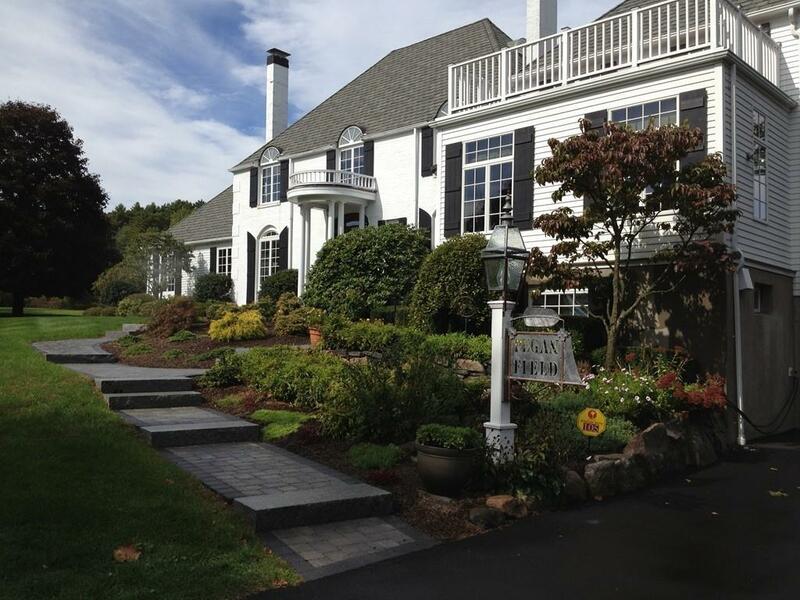 Peganfield has 14 rooms, 5 bedrooms and 4 baths, 2 large family rooms, and hardwood floors throughout. In July, the cooks dream kitchen received new quartz countertops, sinks and freshened cabinets. A sprawling mahogany deck and adjacent large stone patio overlooking the sequestered yard. Other attractive touches include: stunning ash Jeldwyn Speak-easy main and side doors; large arched windows; fully-wired external/internal sound system; external and interior French Doors that open the entire main floor for entertaining. "Peganfield is 16 miles from Boston. 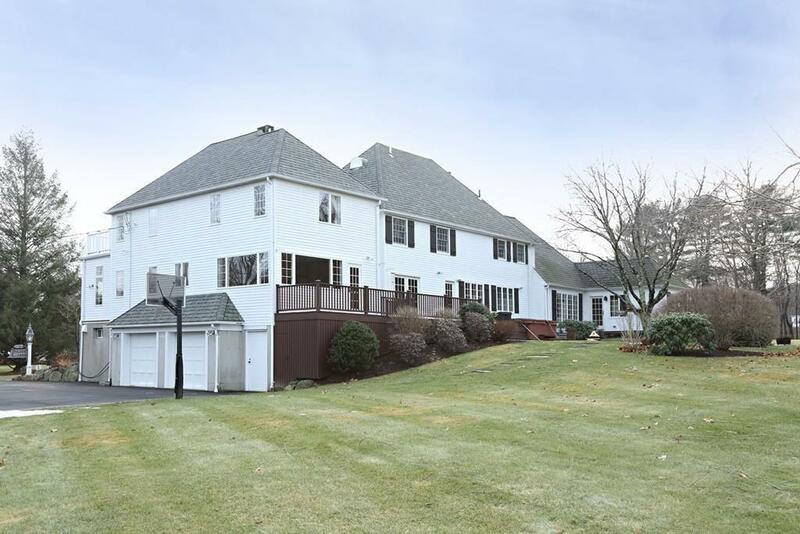 Listing courtesy of Kim Collins of Berkshire Hathaway Homeservices Commonwealth Real Estate. Disclosures Currently Leased Through June 30Th. Seller Will install New Furnace After Tenants Move Out. The Pictures Are The Sellers Pictures House is Currently Furnished With Tenants Belongings. Some Rooms Have Been Painted Since These Pictures And Kitchen Updates Are Shown. 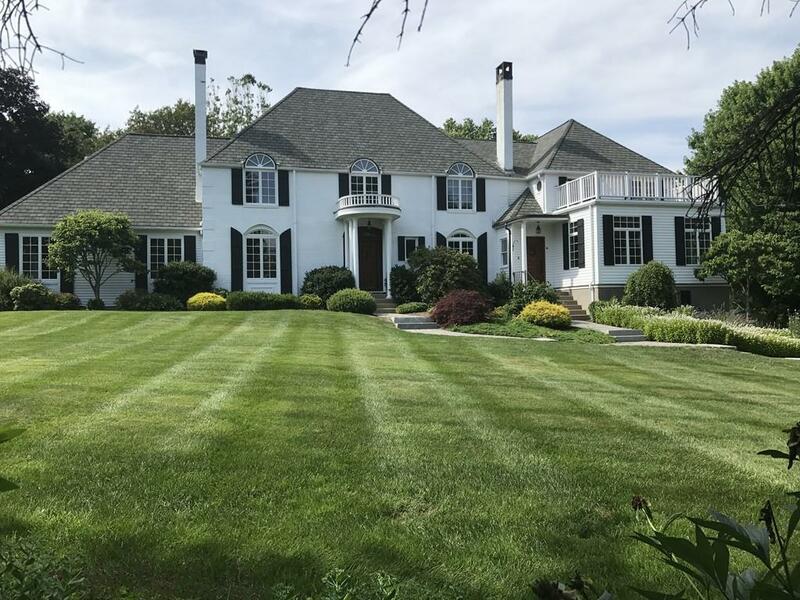 Listing provided courtesy of Kim Collins of Berkshire Hathaway Homeservices Commonwealth Real Estate.